Inishowen Tourism has focused their research and development on the children and teenagers attending schools in Inishowen over the past week. On this occasion a welcome addition to the theme of tourism was combined with education. 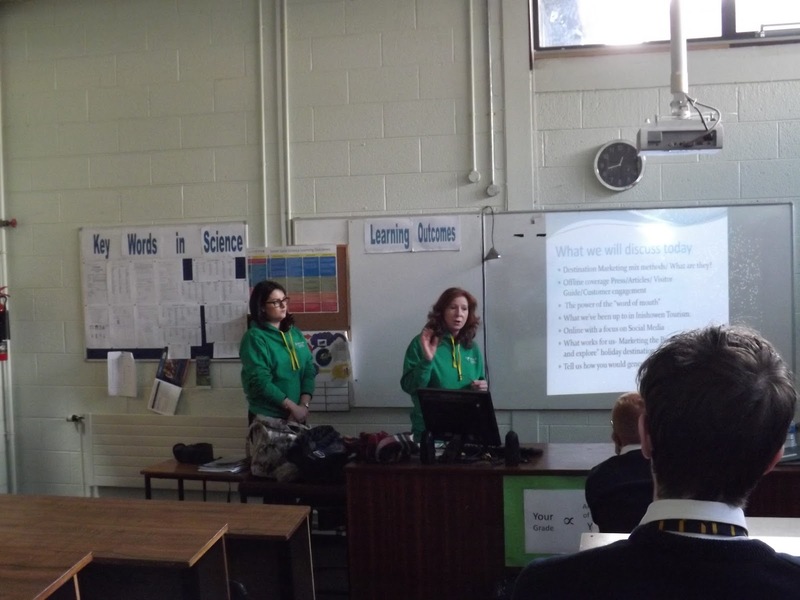 Charlie McCarron who has been compiling valuable research on a community engagement project kindly invited the Inishowen Tourism team to present to the transitional (TY) students at Crana College, Buncrana. 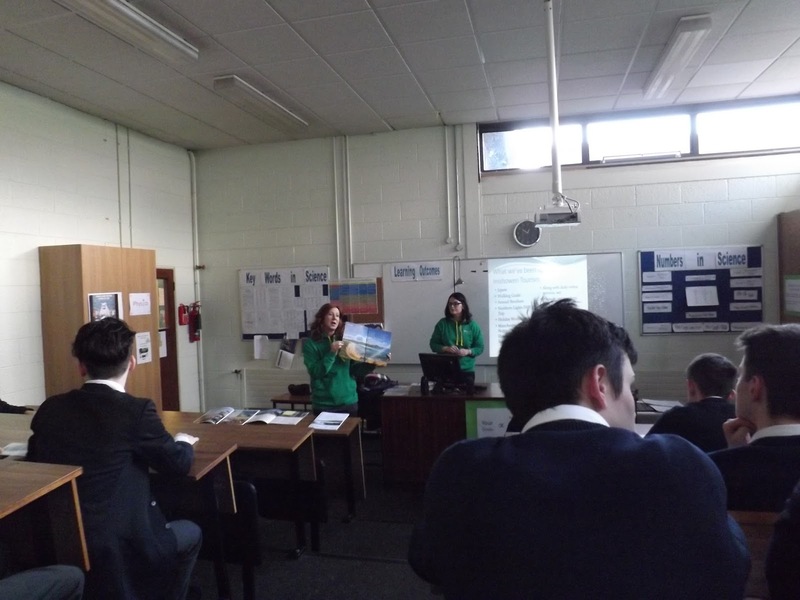 He has been working closely within the community, and it was a pleasure to provide students with some insight on the tourism sector; marketing activities at Inishowen Tourism. This was an opportunity to generate some ideas for their individual/group projects, and share thoughts on their locality. A selection of short videos, a brief overview of the methods we utilise, and a sample of our brochures we print were at hand for the students to browse through during the session. We would like to thank Charlie McCarron, and wish him well with his ongoing research. Inishowen Tourism also spent time in previous weeks developing the connection with the younger children by contacting the primary schools in the Peninsula. Crafty Kids based in Letterkenny are launching a new book on the Wild Atlantic Way in Donegal especially for the children visiting Donegal, this project has been supported by Failte Ireland. The workbook will include a snapshot of exerts from the local children that know what is the best “to see and do” here in Donegal. It is the first ever local visitor guide that is for children incorporating Inishowen and wider Donegal from the Childs perspective whether it is through a story, a poem, or a picture. This is a unique and original project to highlight the benefits and beauty of Donegal and The Wild Atlantic Way. Inishowen Tourism assisted the process of gathering content for the book. It will be available to buy in stores, tourist outlets throughout the county and further afield. Developing new products that can be sold at touch points such as the Buncrana tourist office and local stores meets another visitor need, and this is positive in terms of development. As Malin Head is the start of the WAW it is exciting to have a collection of work from a representative sample around the Peninsula, this ensures that local children compile the stories, pictures and art as they see it in their everyday life. Browsing through some of the pieces sent into the office from a 5th and 6th class it was a pleasure to see and read the pictures and stories therein. I personally thought how wonderful to have some of the images framed or laminated for placemats. The workbook will be full of colour, fun and facts on what’s out there to explore and enjoy in Donegal. We look forward to seeing the book and thank our local schools for their participation; it is wonderful to think that a sample of our children’s work here in Inishowen will be there in black and white in the book for years to come.